Below is a small sample of publications pertaining to digital literacy skill sets. These resources have been placed in a table with notes (see below) that can be searched and sorted. The table has multiple pages; pagination links appear at the bottom of the page. Note that the complexity of digital literacy skills has led many experts to produce visualizations that make them readily understandable. For a small sample of such visualizations, please click here. Aviram, Aharon, and Yoram Eshet-Alkalai. “Towards a Theory of Digital Literacy: Three Scenarios for the Next Steps.” European Journal of Open, Distance and E-Learning 9, no. 1 (April 3, 2006). http://www.eurodl.org/index.php?p=archives&year=2006&halfyear=1&article=223. Digital Citizenship. “Nine Elements.” Digital Citizenship, 2017. http://digitalcitizenship.net/nine-elements.html. Hockly, Nicky. “Consultants-E Ltd, The.” The Consultants-E Ltd., 2017. http://www.theconsultants-e.com. ———. “Digital Literacies.” English Language Teaching Journal, Technology for the language teacher, 66, no. 1 (January 25, 2012): 108–12. Jenkins, Henry. “Confronting the Challenges of Participatory Culture: Media Education for the 21st Century.” MacArthur Foundation Publication 1, no. 1 (2006): 1–59. Knight, Sarah. “Digital Literacy Can Boost Employability and Improve Student Experience.” The Guardian, December 15, 2011, sec. Higher Education Network. https://www.theguardian.com/higher-education-network/blog/2011/dec/15/digital-literacy-employability-student-experience. “Learn Online Marketing – Free Training Course From Google.” Accessed January 26, 2018. https://learndigital.withgoogle.com/digitalgarage?utm_source=Engagement&utm_medium=ep&utm_term=ep&utm_content=Other_EP_PP&utm_campaign=Q2_2017_EP_ProductPage. Levesque, Michelle. “Mozilla’s Web Literacy Skills (v0.1 Alpha).” Rwxweb (blog), January 30, 2012. https://rwxweb.wordpress.com/2012/01/30/mozillas-web-literacy-skills-v0-1-alpha/. Levy, Leah Anne. “7 Reasons Why Digital Literacy Is Important for Teachers.” USCRossierOnline, May 2, 2016. https://rossieronline.usc.edu/blog/teacher-digital-literacy/. MacQuarrie, Ashley. “Transforming the Way We Learn: Why Digital Literacy Is So Important – Learning Liftoff,” February 4, 2013. http://www.learningliftoff.com/transforming-way-learn-digital-literacy-important/#.WKS3F0cwBxg. McCuen@aacu.org. “Essential Learning Outcomes.” Text. Association of American Colleges & Universities, April 18, 2014. https://www.aacu.org/leap/essential-learning-outcomes. Office of Educational Technology, US Education Department. “Future Ready Learning Reimagining the Role of Technology in Education.” US Education Department, 2016. http://tech.ed.gov. Plunkett, Cindy. “Why Is Digital Literacy Important?” Digital Literacy & Digital Divide (blog), November 29, 2010. https://digitaldivide2digitalliteracy.wordpress.com/why-is-digital-literacy-important/. Riel, Jeremy, Sonya Christian, and Brad Hinson. “Charting Digital Literacy: A Framework for Information Technology and Digital Skills Education in the Community College.” SSRN Scholarly Paper. Rochester, NY: Social Science Research Network, March 1, 2012. https://papers.ssrn.com/abstract=2781161. University Library, U of Illinois at Urbana-Champaign. “Digital Literacy Definition and Resources.” University Library, U of Illinois at Urbana-Champaign, October 15, 2008. http://www.library.illinois.edu/diglit/definition.html. Visser, Marijke. “Digital Literacy Definition | ALA Connect.” American Library Association Connect, September 14, 2012. http://connect.ala.org/node/181197. Wikipedia. 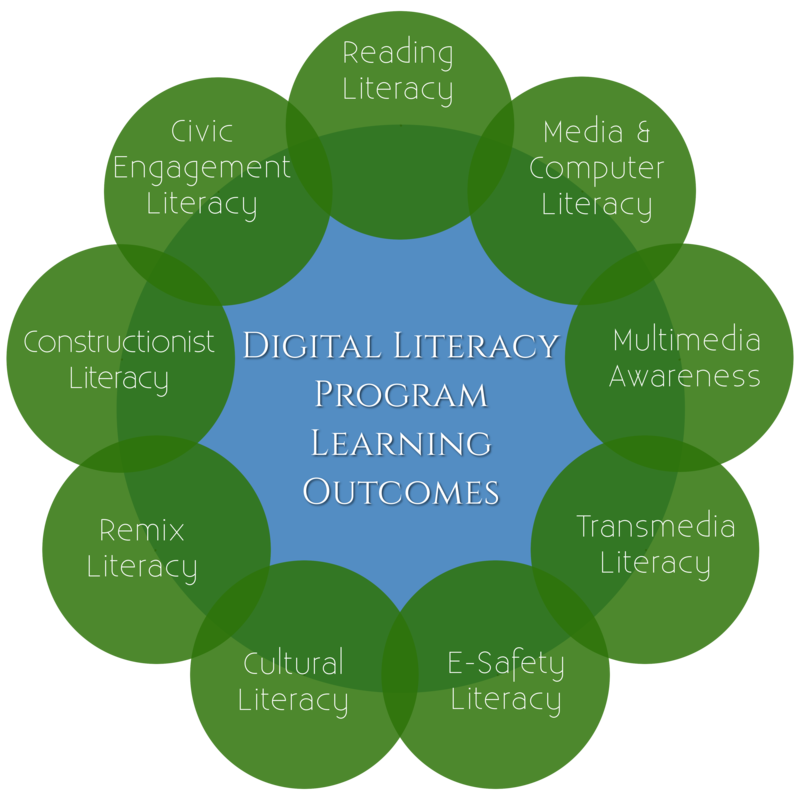 “Digital Literacy – Wikipedia.” Accessed February 12, 2017. https://en.wikipedia.org/wiki/Digital_literacy. Wired Magazine. “7 Essential Skills You Didn’t Learn in College.” WIRED, September 27, 2010. https://www.wired.com/2010/09/ff_wiredu/. The nature of knowledge is changing and, in this digital age, our definition of basic literacy urgently needs expanding. With an estimated 90% of UK jobs requiring some level of IT competency, the notion of digital literacy – those capabilities that equip an individual for living, learning and working in a digital society – is one that needs to be taken seriously by colleges and universities (par 1). To be successful in our daily lives and in a global workforce, Americans need pathways to acquire expertise and form meaningful connections to peers and mentors. Beyond these essential core academic competencies, there is a growing body of research on the importance of non-cognitive competencies as they relate to academic success.7,8,9 Non-cognitive competencies include successful navigation through tasks such as forming relationships and solving everyday problems. They also include development of self-awareness, control of impulsivity, executive function, working cooperatively, and caring about oneself and others. Technology can help organize learning around real-world challenges and project-based learning using a wide variety of digital learning devices and resources to show competency with complex concepts and content. closing the digital divide alone will not transform learning. We must also close the digital use divide by ensuring all students understand how to use technology as a tool to engage in creative, productive, life-long learning rather than simply consuming passive content. Without thoughtful intervention and attention to the way technology is used for learning, the digital use divide could grow even as access to technology in schools increases. Language- print and texting as well as visual, multimedia, and coding literacies. Connections-social skills and networking, collaboration, digital safety, and intercultural awareness. (Re)design- remix literacy, encompassing all of the above literacies, but also including an awareness of copyright, fair use and the legal issues surrounding remixes and mashups. Uses these skills to actively participate in civic society and contribute to a vibrant, informed, and engaged community. With the emergence of social media, individuals who are digitally literate now have a major voice online. Websites like Facebook and Twitter, as well as personal websites and blogs, have enabled a new type of journalism that is subjective, personal, and "represents a global conversation that is connected through its community of readers." These online communities foster group interactivity among the digitally literate. Social media also help users establish a digital identity or a "symbolic digital representation of identity attributes." Without digital literacy or the assistance of someone who is digitally literate, one cannot possess a personal digital identity. This is closely allied to web literacy. 14. Mckee-Waddell, S. s. (2015). Digital Literacy: Bridging the Gap with Digital Writing Tools. Delta Kappa Gamma Bulletin, 82(1), 26-31. 15. Longardner, Tara (2015). "US News". The Growing Need for Technical and Digital Literacy. 16. nashoa (January 6, 2014). "Social networks using web 2.0". IBM. The ability to use digital technology, communication tools or networks to locate, evaluate, use and create information. The ability to understand and use information in multiple formats from a wide range of sources when it is presented via computers. A person’s ability to perform tasks effectively in a digital environment... Literacy includes the ability to read and interpret media, to reproduce data and images through digital manipulation, and to evaluate and apply new knowledge gained from digital environments. Levesque, M. (2012, January 30). Mozilla’s Web Literacy Skills (v0.1 alpha). Retrieved February 10, 2017, from https://rwxweb.wordpress.com/2012/01/30/mozillas-web-literacy-skills-v0-1-alpha/. The authors provide a review of the literature and then assemble a very detailed set of digital literacy categories and skill sets. Includes an extensive references page. Both Pegrum and Belshaw make clear that digital literacies are not a checklist of discrete skills that are simply acquired and then ticked off. Although digital literacies do include procedural skills (such as how to insert an image into a word-processed document), they also include less clearly defined skills, such as communicating effectively in distributed virtual communities. Bawden (2008) suggests that it is more useful to conceive of digital literacies as a state or condition that changes over time. As technology evolves and changes, so new skills and literacies emerge and become increasingly important (par. 10). WT2FAFN4 webpage 2017 Hockly, Nicky Consultants-E Ltd, The The Consultants-E Ltd.
Comprehensive biographical and bibliographical information for author Nicky Hockly, Director of Pedagogy at The Consultants-E, an expert in digital literacy. Demonstrated through the application of knowledge, skills, and responsibilities to new settings and complex problems. Wired Magazine. (2010, September 27). 7 Essential Skills You Didn’t Learn in College. Retrieved November 12, 2017, from https://www.wired.com/2010/09/ff_wiredu/. Wired magazine's mock university courses aimed at arousing awareness of higher ed's inadequacies in the area of digital literacy instruction. Teach students to evaluate and question their sources. Teach students how to draw a strong conclusion. Push students to new levels of creativity. When discussing the digital divide it is helpful to have a definition or understanding of what this term means. The term is often used to describe the differences in access to ICTs. First mentions of the digital divide “appeared about 1995, in documents such as ‘Falling through the net’” (Gutierrez & Gamboa 2008). The Organisation for Economic Co-operation and Development (OECD) “define the divide as the ‘gap between individuals, households, business and geographic areas at different socio-economic levels with regards to their opportunities to access information and communication technologies and to their use for a wide variety of countries’” (Gutierrez & Gamboa 2008). It is important to understand that the digital divide is extremely complex and is a dynamic concept. There is not a single divide but multiple divides and therefore there are numerous ways to measure the divide; the most popular measure is the assessment of the extent to which people have access to the Internet. In addition reports suggest that the inequalities of access are evolving and taking on new forms, specifically in regards to the digital divide between the speed and quality of access to ICTs (ITU, 2007) (par 2). Expressions — producing new creative forms, such as digital sampling, skinning and modding, fan videomaking, fan fiction writing, zines, mash-ups). Circulations — Shaping the flow of media (such as podcasting, blogging) (3). Participatory culture shifts the focus of literacy from one of individual expression to community involvement (4).